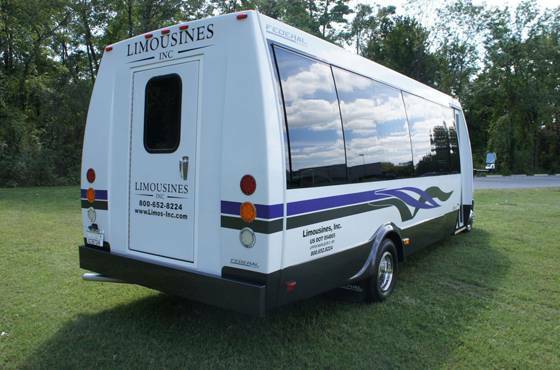 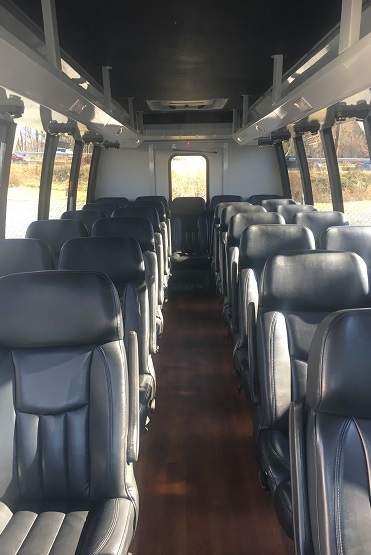 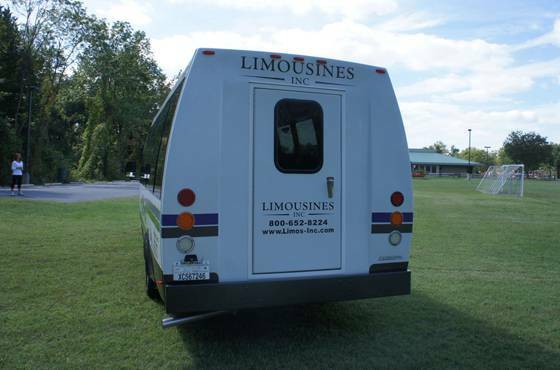 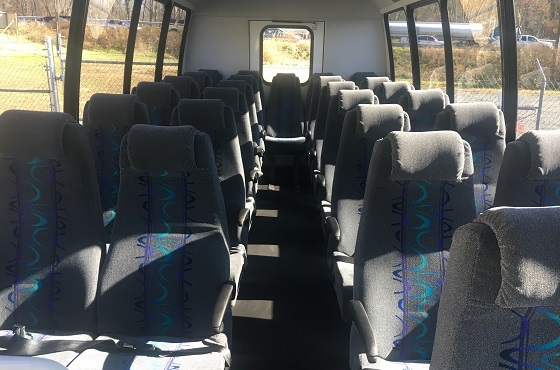 This luxury shuttle bus has seating for 27/28 passengers and contains overhead storage for luggage. 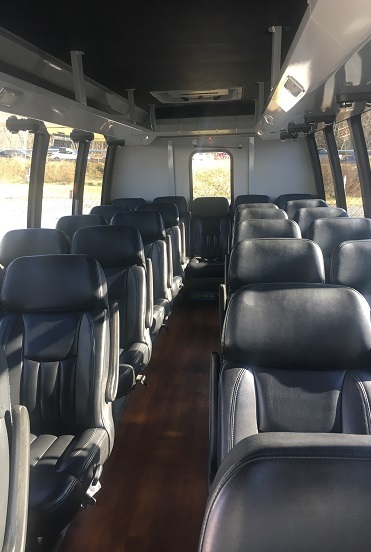 The seats are leather and recline for comfort and the cabin contains dual climate-control features. 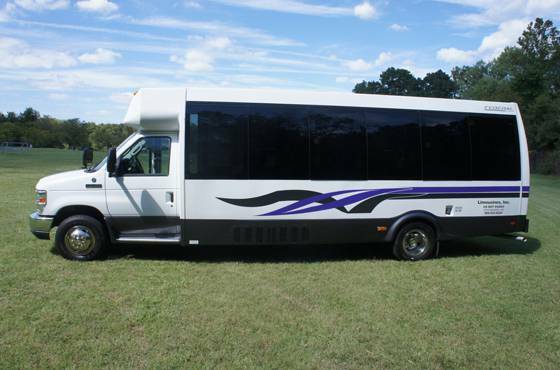 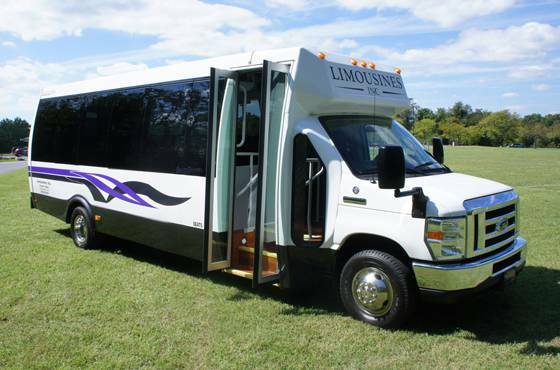 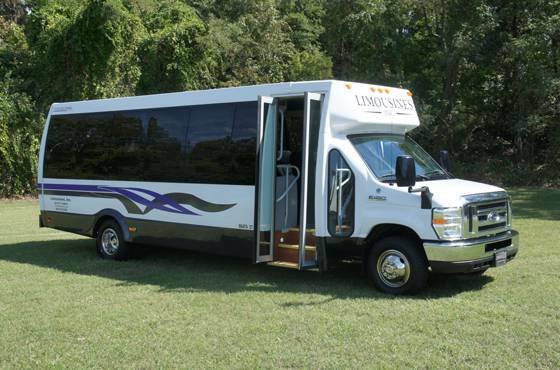 This bus is ideal for moving large parties such as wedding guests, tour groups or corporate staff.